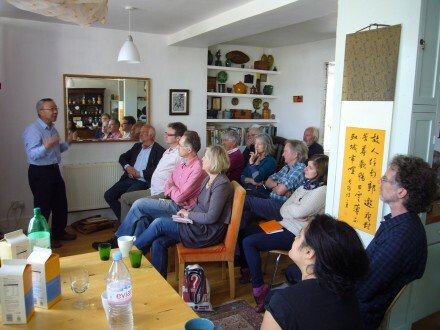 A special Glasfryn Seminar & get-together to welcome Professor Wu Fu-Sheng from the University of Utah who is on a brief visit to Wales to explore the poetry of Dylan Thomas and translate some of it into Chinese. 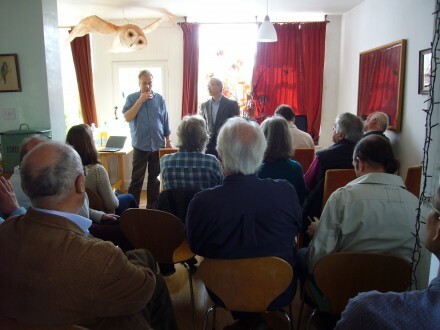 The day will provide an opportunity to talk about the history of Chinese poetry from a comparative standpoint, to consider notions of Nature and the Romantic between widely diverse cultures, and to talk about issues of translation generally, as well as the peculiar challenges of the Dylan Thomas project. No knowledge of Chinese required! Wu Fu-Sheng is Professor in the Department of Languages and Literature at the University of Utah.His publications include: The Poetics of Decadence: Chinese Poetry of Southern Dynasties and Late Tang Periods. State University of New York Press; Written at Imperial Command: Panegyric Poetry in Early Medieval China. State University of New York Press; and A Study of English Translations of Chinese Poetry: James Legge, Herbert Giles, Arthur Waley, and Ezra Pound. Beijing: The Academy Press, as well as volumes of translation: Songs of My Heart: The Lyric Poetry of Ruan Ji, with Graham Hartill. London: Wellsweep Press and The Poems of Cao Zhi, with Graham Hartill, including a critical introduction. Beijing: The Commercial Press. His many articles include: On Keats’ Negative Capability in Foreign Literature Review, and The Subject-Object Relations in Chinese Tang and English Romantic Nature Poetry, in Comparative Literature in China.